The Warsaw ghetto was established on October 12th 1940 when it was announced that all Jews living in Warsaw were to be segregated in a designated area. Almost immediately after Warsaw fell to the Germans on 29th September 1939, a census of Jews living in the city was ordered. The number was around 350,000. Over the following year a further 90,000 Jews were relocated to Warsaw and Jewish people faced increasing restrictions on their lives. On October 12th all Jews in Warsaw had to move to the ghetto. The ghetto covered an area of approximately 1.3 square miles, surrounded by a 3.5 metre wall topped with barbed wire and broken glass. The area contained around 1,500 houses to accommodate the 400,000 Jews. The average number of people occupying each room was 7.2. On November 16th 1940, the Warsaw ghetto was sealed off from the rest of Warsaw. Conditions inside the ghetto were harsh, the food ration allocated to the Jewish population was around 200 calories per day. Food purchased as an official ration was reasonably priced but food purchased to supplement the ration was very expensive. In addition the ration allocated to the Jews was of poor nutritional value and did not include meat, fruit or vegetables. Consequently, many people died from starvation and disease. Others risked their lives trying to smuggle food into the ghetto. By April 1941 the death rate of those living in the Warsaw ghetto was around 6,000 per month. 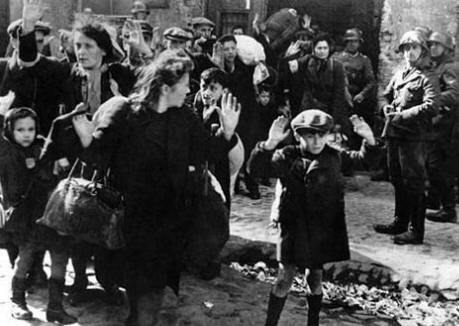 In July 1942 the Germans began deporting people from the Warsaw ghetto to the Treblinka death camp. Between July and September 1942 around 265,000 Jews were sent to Treblinka. Inside the ghetto it soon became clear that those being deported were going to their deaths and many of those remaining became determined to resist the Nazis and defend those in the ghetto against further deportations. They called themselves the Z O B Zydowska Organizacja Bojowa which translates as Jewish Combat Organisation. 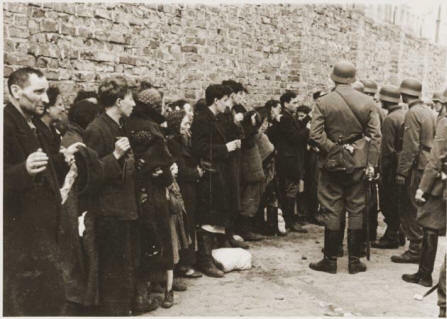 In January 1943 when German troops arrived at the ghetto to deport a further 80,000 Jews, they met organised and armed resistance from the Z O B who had armed themselves with a small number of weapons smuggled into the ghetto. The German soldiers were forced to retreat. Following this small victory the Z O B began making preparations for further resistance. Bunkers and hiding places were prepared and plans were made detailing tactics to use against the Germans. On 19th April 1943 German soldiers arrived to liquidate the ghetto. They found the central area deserted and many had gone into hiding and also faced serious resistance from the Z O B. This action became known as the Warsaw Ghetto Uprising. Street battles took place and in a bid to flush Jews out into the open houses were set alight. Despite the resistance German soldiers flushed people out of the bunkers by using tear gas or poison gas and on 8th May 1943 the command bunker of the Z O B was located bringing the Uprising to an end. Around 13,000 Jews were killed during the uprising, many of those burnt or died from smoke inhalation. 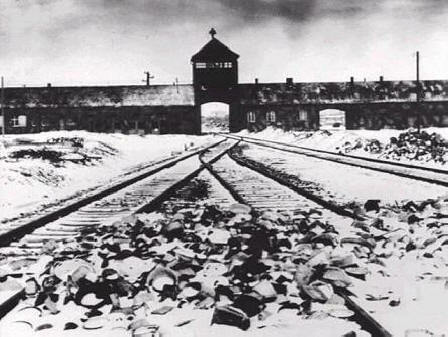 Those that were left alive were deported to concentration camps or the Treblinka death camp.